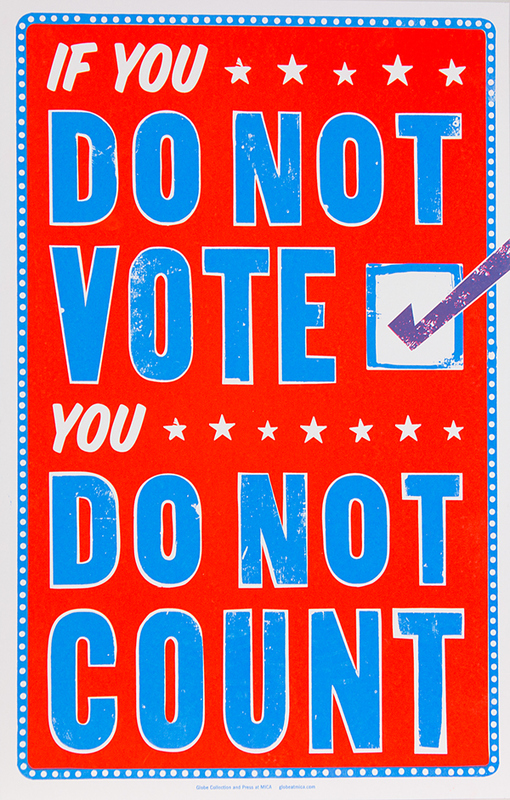 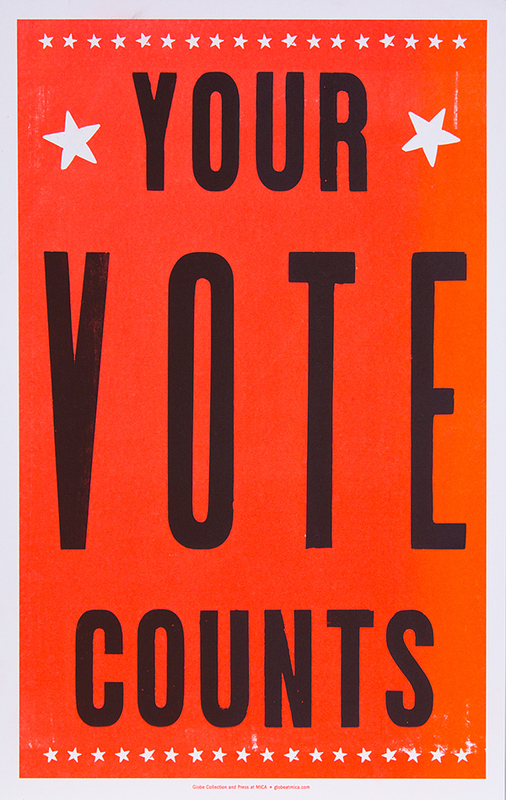 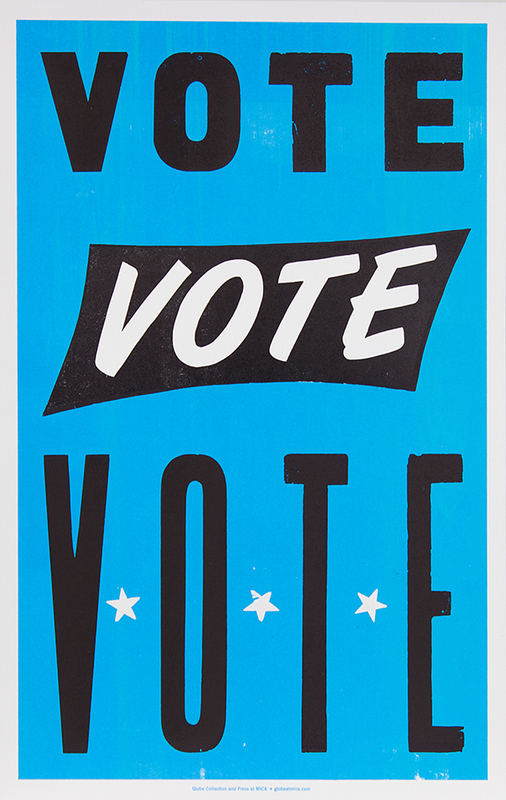 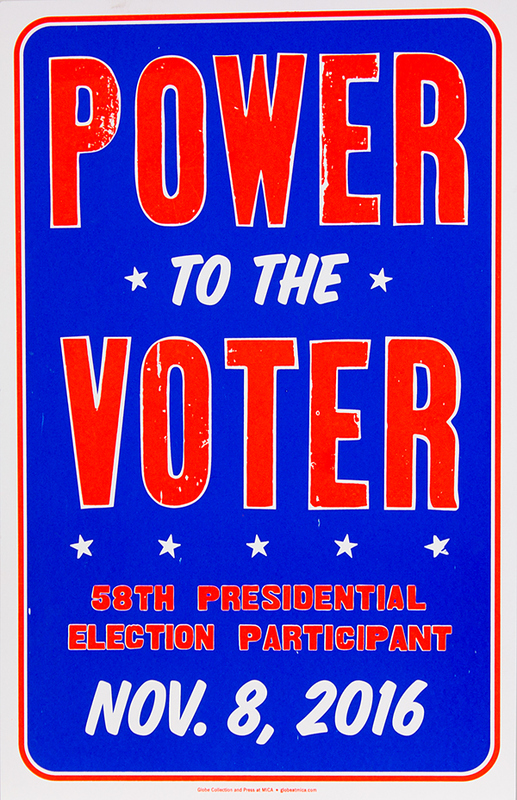 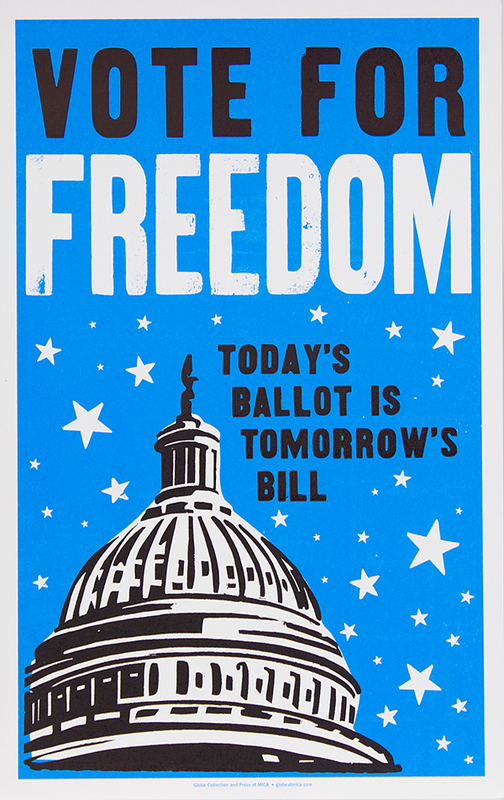 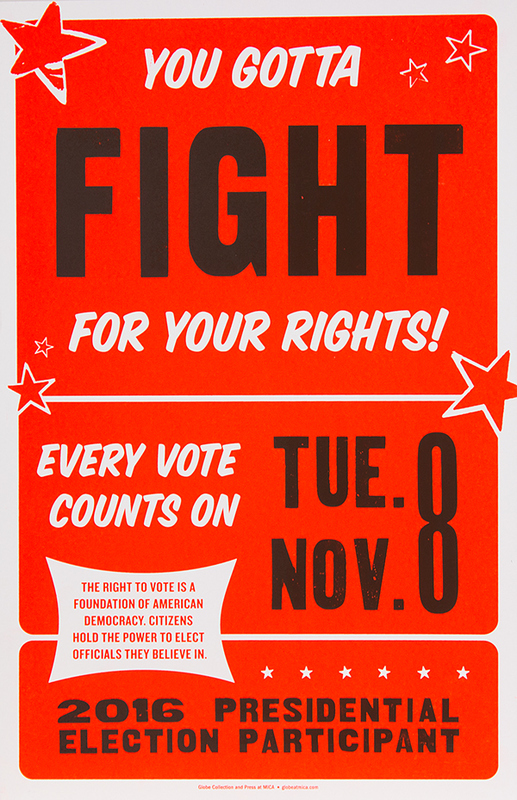 As a Globe Collection and Press intern, I worked with my colleagues to design and produce a set of six posters to be hung around Baltimore City the day before the election. 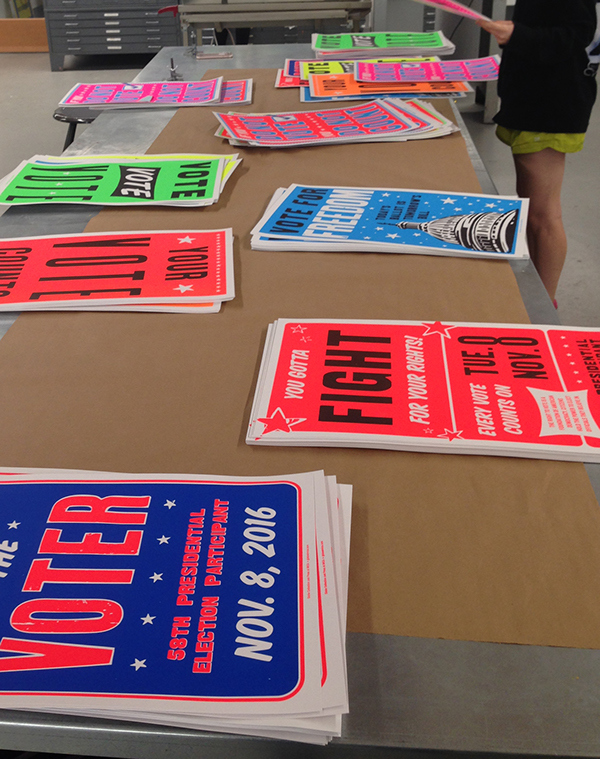 Hundreds of posters were then distributed to people who brought proof of voting to the shop. 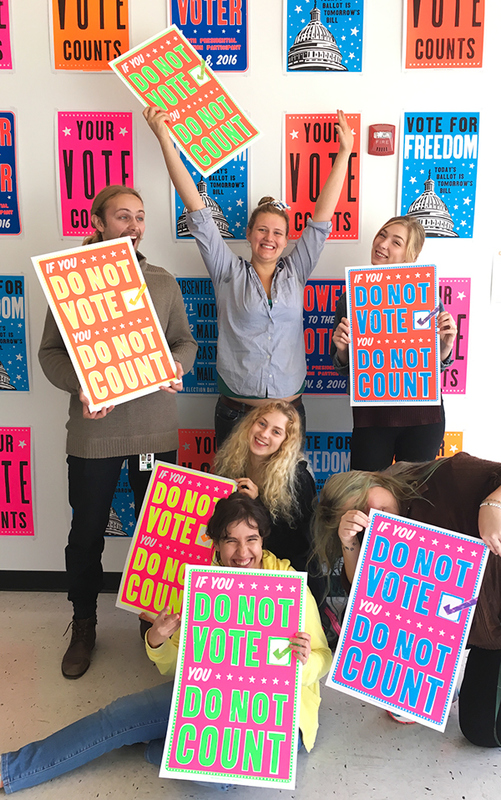 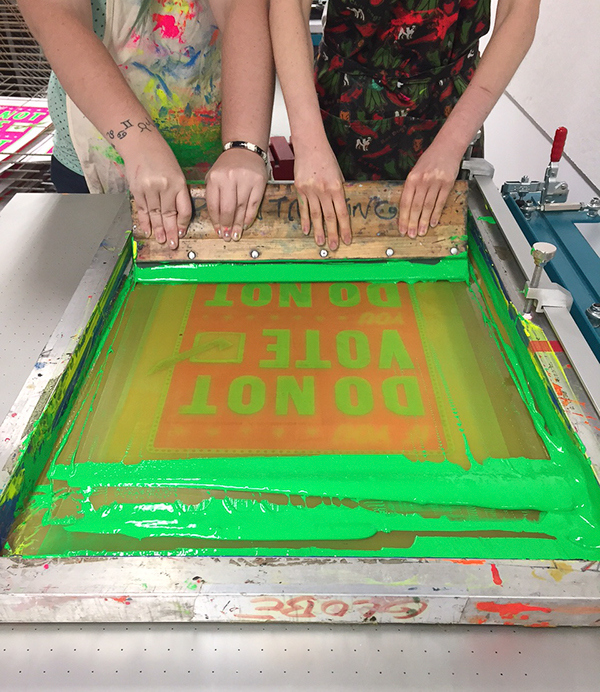 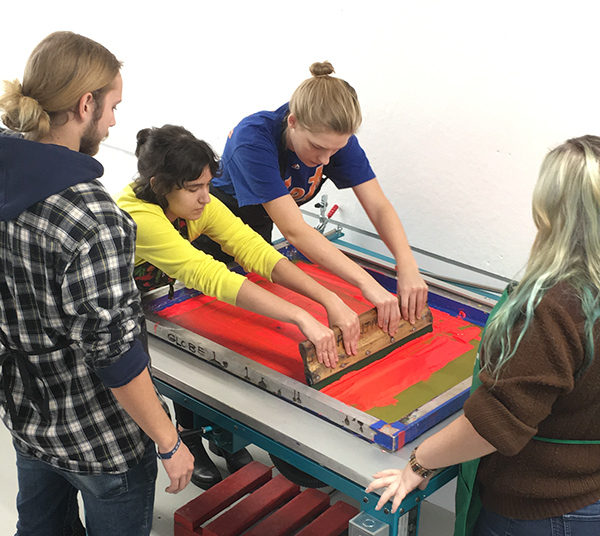 As a Globe Collection and Press intern, i worked with my colleagues to design and produce a set of six posters, inspired by old Globe designs, to be hung around Baltimore City the day before the election. 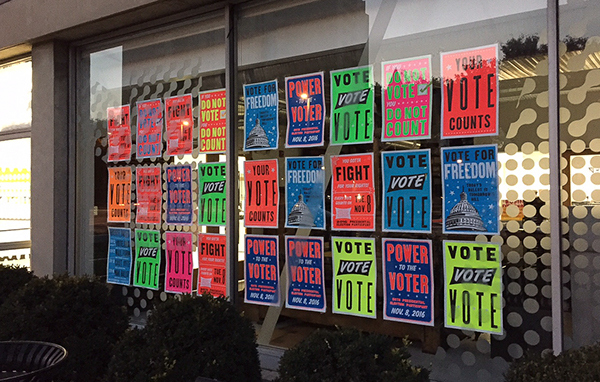 Hundreds of posters were then distributed to people who brought proof of voting to the shop.